Are you a cereal in the morning kind of person? Once in awhile I do like a bowl of cereal for breakfast. But now you can have your cereal in a cookie!! I mean, how great is that!!! If someone asks you “hey what did you eat today?” You can feel good about saying “oh, some cereal.” See? It almost sounds healthy, right? One of my favorite cookies is a good chewy oatmeal cookie. I love the texture. Well, these cookies have a lot of texture. My favorite cereal is Honey Bunches of Oats. I like the one with almond slices. 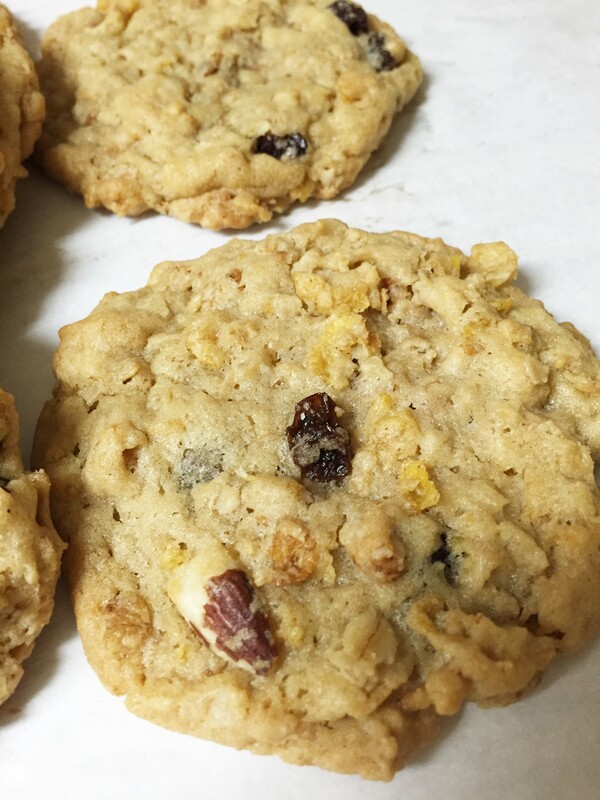 So imagine the texture you get in these cookies with the oat clusters, nuts, raisins and cereal. It makes a great chewy, delicious cookie. I recently made rice krispy cookies and those were delicious too. Hey, I am trying to eat more cereal in my diet. hahahhaha. Cereal cookies are just da bomb. I will post the rice krispy cookies later. 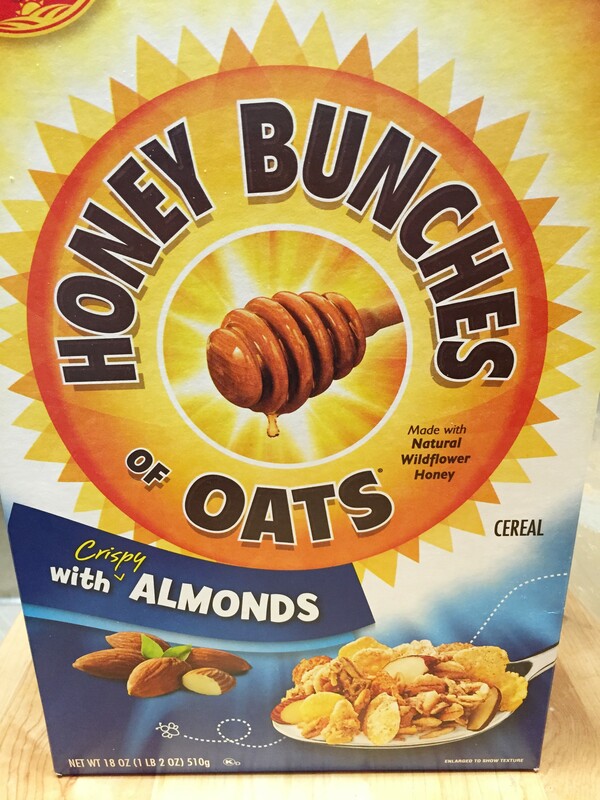 If you want, you can use plain ol cornflakes instead of Honey Bunches of Oats, but you really should try the HBOats. Do you see all that texture? lots of bumpy lumpy chewy crunchy goodness. Cream the butter and shortening together. 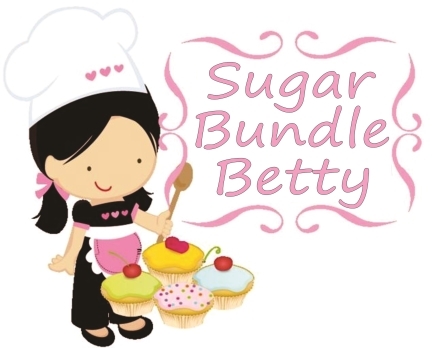 Add the sugars and beat until nice and fluffy. Add the vanilla and the eggs. Mix thoroughly. Add the flour, salt, baking soda and baking powder. Don’t overmix it…mix briefly only until combined. Stir in the cereal, oats and raisins. 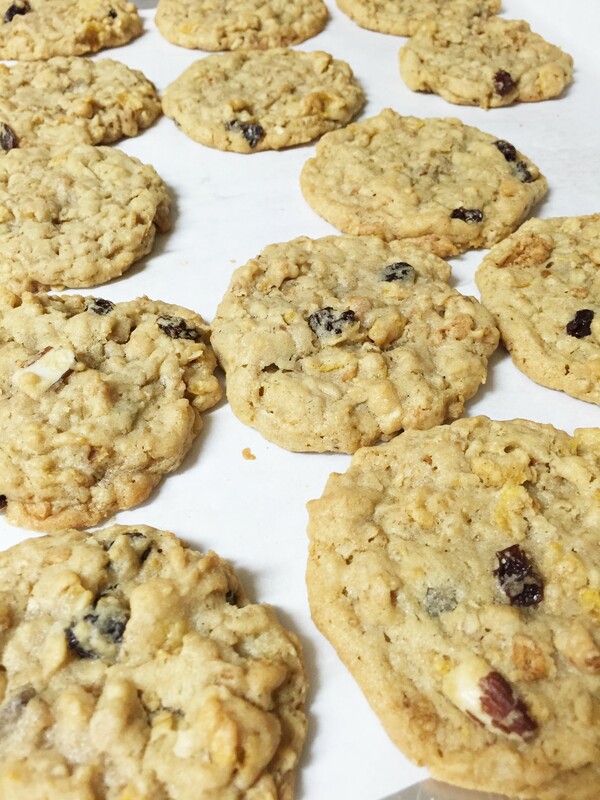 Scoop 1/4 cup mounds of dough, 2″ apart, onto a cookie sheet lined with parchment paper. Slightly flatten mounds. Bake at 325 deg, for about 14 minutes, depending on your oven. They should be just slightly browned. Let them cool on the cookie sheet.